Obelix Search was inspired by a joke about creating a "What's Hipster" app that would check the popularity of search terms and see how popular they were. So in a moment of laughter we decided it would actually be cool (or hipster) to make a search engine that would display data trends and information. Obelix Search was born. 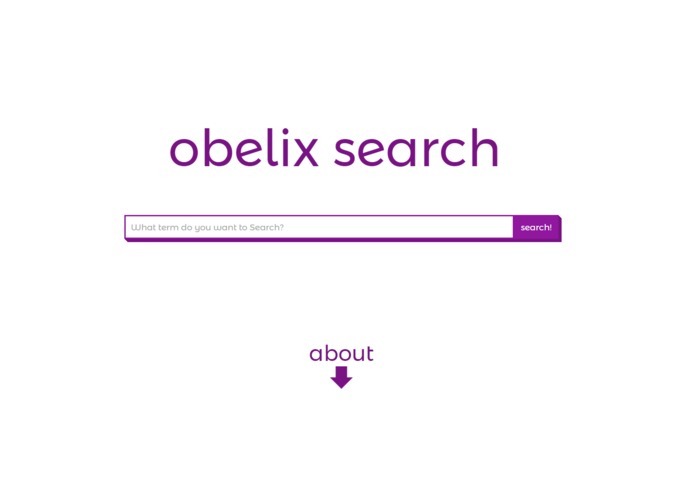 Obelix Search takes a user input 'term' and searches through multiple websites to display data and information found on the 'term'. Many issues occurred while creating Obelix Search. The python script has issues with other websites APIs and only works great with Wikipedia's API. Our server for Obelix Search has had many issues and has required more than five calls with the hosting company. Load times are another issue the project is having and we still have not figured out how to parse through the data faster. We are proud of our python script and how much fun it actually is to see which articles the program pulled back that it searched through. Also I am proud of the progress we have made in very little time. We learned that a lot of issues can stall progress and it's okay not to finish everything right away. Also using technologies we are not used to and working with data has been a joy and a huge learning opportunity. We will continue to work on Obelix Search and get it up to full functionality within the month hopefully.